Our Portland veterinarian, Dr. Kenneth DeRemer, treats many cat and dog gastrointestinal disorders. These GI issues range from mild to potentially life-threatening, which makes it important for pet owners to be aware of the symptoms of dog or cat stomach problems. These are the top issues seen at our animal hospital in Portland. There are several cat and dog stomach problems that can cause symptoms such as vomiting, diarrhea, appetite loss or constipation. One of the most common is canine gastroenteritis. This condition occurs when the stomach and GI tract become inflamed due to a viral or bacterial infection. Other potential underlying causes include ingesting a toxic substance or having pancreatitis. If you have a dog throwing up or a cat throwing up, gastroenteritis could be the cause. Other symptoms include a lack of appetite and diarrhea. Seeking veterinary care is important in order to determine the cause of this condition. Bloat is another condition that can affect the GI tract in dogs. This condition is an emergency that requires immediate medical care. Bloat can occur when dogs run around after eating too much or if they are under stress. This condition causes the stomach to twist, leading to symptoms, such as shock, unsuccessful attempts to vomit, an irregular heart rate and abdominal pain. Obstructions in the GI tract can also trigger stomach problems in pets, such as appetite loss, vomiting, diarrhea, swelling and pain in the abdomen and lethargy. These can occur if your pet swallows foreign objects or if tumors or other growths block part of the intestines. Intestinal blockage is considered an emergency, since it can become life-threatening without treatment. Gastrointestinal ulcers are another condition that can cause stomach issues in pets. Symptoms of these aren’t always apparent at first, although some pets do experience vomiting, abdominal discomfort and appetite loss. Ulcers can have a number of causes, including certain medications, cancer, underlying diseases and chronic stomach inflammation. 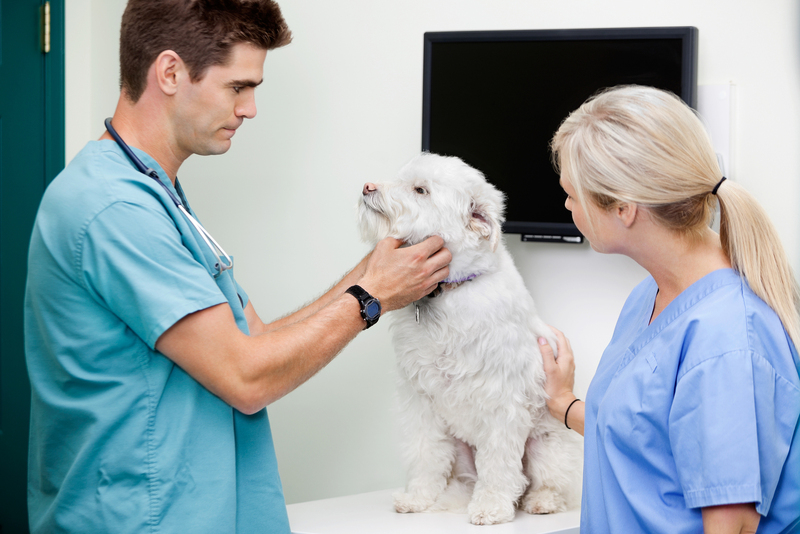 Many GI problems in pets can be effectively treated or managed with proper veterinary care. If your pet is showing any signs of a GI issue, such as vomiting or diarrhea, it is important to seek veterinary care. If your pet shows serious signs of GI problems, such as severe pain and discomfort, abdominal swelling, rapid breathing, lethargy or frequent vomiting or diarrhea, it is crucial to see our emergency veterinarian in Portland for immediate treatment. Conditions such as bloat or intestinal blockages can quickly become fatal without prompt treatment. When your pet has a GI problem, please contact Peninsula Dog & Cat Clinic for an appointment with our Portland vet. If your pet needs an emergency vet, please keep in mind that we are an emergency animal hospital serving Portland. We can provide your pet with prompt treatment for GI disorders. Call today at 503-285-7661.